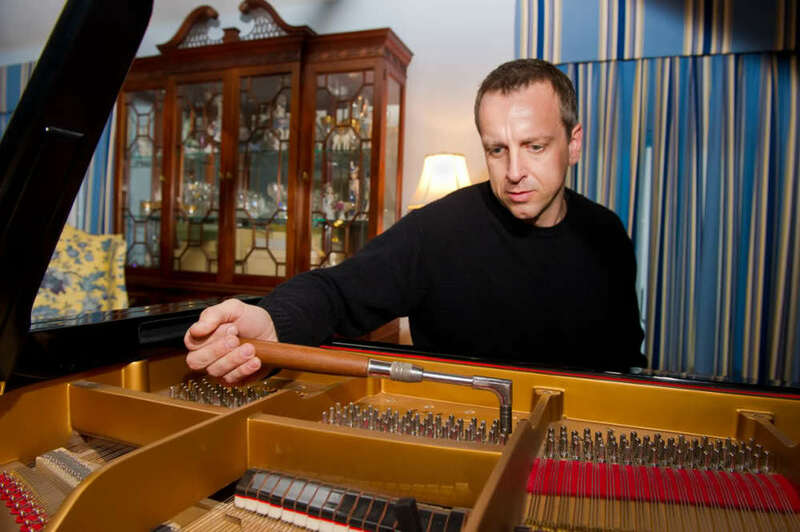 Matthias Wandler, born and raised in Germany, is the founder and owner of Matze Music, a piano tuning, voicing and repair service located in the Washington, DC metro area. Matthias was trained and inspired by some of the best piano builders in Germany. He started as an apprentice in 1989 at Seiler Piano Factory in Kitzingen, Germany and completed the Berufsakademie (BA) as a piano technician in 1992 at the European College for Piano Technicians in Ludwigsburg, Germany. After graduation, Matthias continued his lifelong passion for music, working as a professional piano tuner and technician, in piano sales and other musical pursuits. In 2001, he founded Matze Music. Matze Music provides tuning and repair services to clients in their homes. 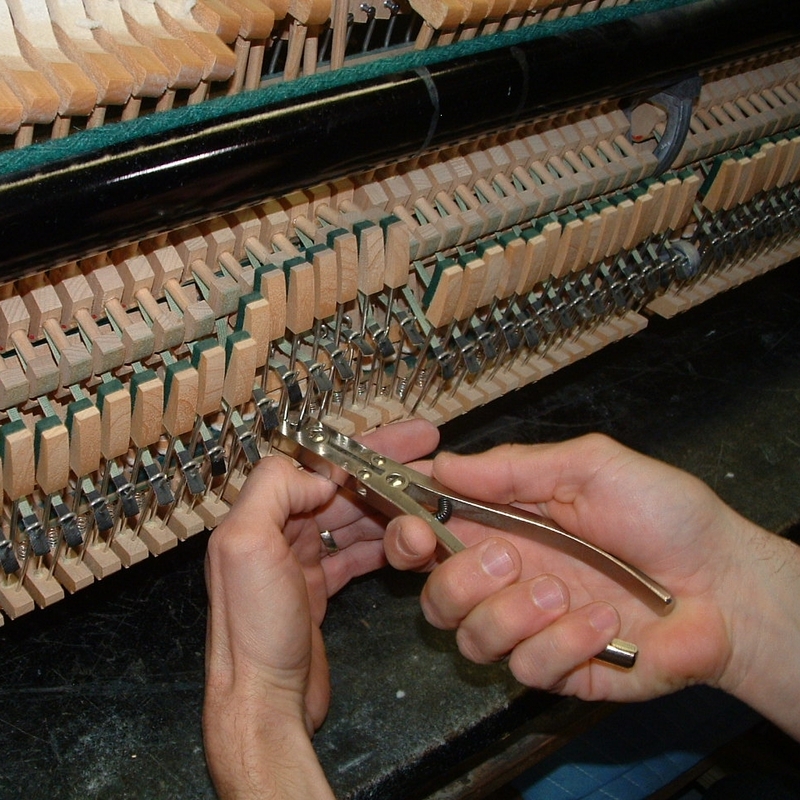 Matze Music follows German procedures for piano tuning, regulation and voicing to create the finest sound available. Please visit our testimonials and piano tuning demonstration. Matthias has established a long and successful record across the piano industry for 30 years. In addition to piano voicing and tuning, which he can do naturally by ear, Matthias also has his own professional repair studio which can handle structural carpentry work and complex reconditioning of pianos. Matthias is also deeply involved in playing music. He is the leader of the DMV-area Bavarian music bands “Die Zwei” (The Duo), "Die Drei" (The Trio), and the “Lost Lederhosen” band (5-6 musicians), doing vocals, playing drums and brass as needed. He also plays with the German Band "Alte Kameraden" from Fairfax, VA and on occasion, goes back to play with "Winzerkapelle Roedelsee/Frankenpower Live," where he started in 1981 in his hometown of Roedelsee, Germany. Mattias Wandler explains the fine point regulation procedures Matze Music uses to regulate pianos. — Martha D. - Washington, D.C.
"The piano is, I believe, unique in our culture in the way it weaves music, craft, history, business, science, and engineering - both low-tech and high-tech - into a remarkable tale worth telling." If you have any additional questions, please feel free to contact Matthias via email or telephone at 703-975-7249.